Add more than just a twist to your next cocktail with these enticing, Maine-made syrups. When it comes to design, the best results come from a combination of well-laid plans and well-chosen ingredients. That holds true whether you’re building a house, or building cocktails — something Forrest Butler is particularly well-suited to discuss. In 2008, he was laid off from his job as an architectural designer in New York City; unable to find work in his field again, he returned to his roots in bartending. It was a fortuitous choice. 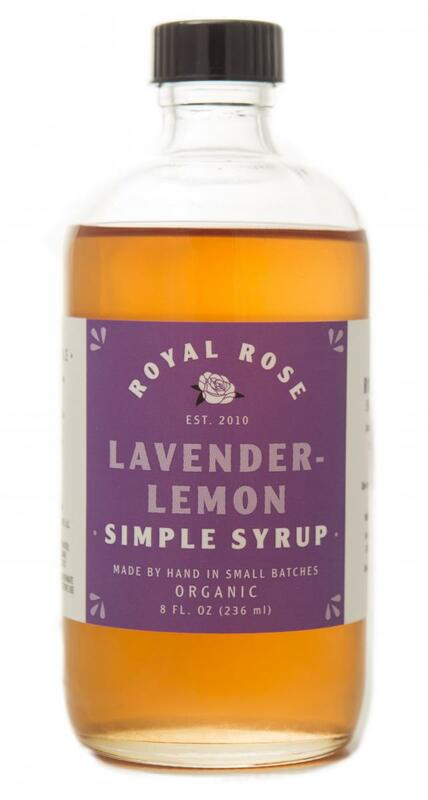 He and his wife, Emily, are now the duo behind Royal Rose Simple Syrup. The company, now based in Maine, offers a line of nine creative, organic syrups for home bartending. Around 2010, Forrest was working at a craft cocktail bar in Brooklyn, while Emily was canning peaches at a local food co-op — as the origins of these types of artisanal companies tend to begin. He asked her for some of the juice from the peaches to use at the bar to make syrups. “Within two seconds she had elbowed me out of the way, and we had a peach, basil, and black pepper syrup,” he says. He mixed it with a variety of spirits — gin, bourbon, rum — and it was a huge hit at the bar. That fall, they created the LLC, worked through all of the FDA red tape, and by April they’d sold their first bottle to a gourmet provision chef in Brooklyn. Before long, they were in business with a large national retailer. By the summer of 2012, with space and costs pushing them out of New York, as these stories also often tend to go, the couple, who had met in Cambridge, returned to New England. They moved their operations to Brunswick, ME, where they have a 2,200 square foot facility and anywhere between 3-5 employees at a time working with the herbs and spices and sugar that go into their variety of syrups. All of which, Forrest is quick to point out, are USDA certified organic. The result is styles like cardamom and clove, ginger-lime, anise, jasmine, lavender and lemon, and saffron, to name a few. What you will find is an opportunity to enrich your drinking experience, whether it’s with the hard stuff — utilizing the aromatics to tease subtle notes out of a gin or rum — or imbuing a glass of champagne with a touch more depth. The syrups are available across the country now, and can be purchased online, but are also available in stores in Massachusetts like Boston Shaker, Urban Grape, Olives & Grace, and Esprit du Vin. You can find a list of suggested recipes from Royal Rose here. They range from the simple three-ingredient libations, like Forrest’s favorite below, to the much more advanced. Combine ingredients in a Boston shaker over ice and shake vigorously. Serve straight up with a lemon wedge.